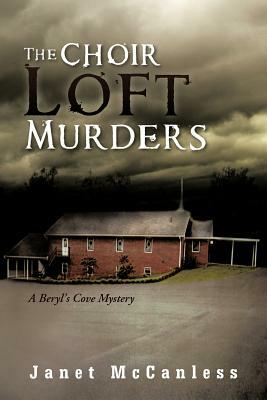 They are back, that delightful bunch of folks from coastal North Carolina, in this, the last of the series of Beryl's Cove mysteries. Steve and Suzanne Thomas are in their mountain retreat, when someone is killing the choir master and choir members of the local congregational church of Ridgeville. Because the first murder occurred in the Nest O Rest Lodge, just up the path from the Thomas home, naturally, our heroes are going to be involved. Steve's best friend, from Navy days is visiting his sister's lodge, and is called upon to help with the investigation, and add his own special insights and zaniness to the proceedings. When two more murder victims show up, the plot thickens, with a twist that sends the town reeling. Gregg and Steve need all the help they can get. When the hometown gang from the Cove show up for the 4th of July festivities, more adventure ensues when they end up stranded late at night on the Blue Ridge Parkway. Things are never quite settled, even when our two amateur sleuths return home, there is unfinished business and some shady dealings afoot! Come along for this final, raucous adventure with the two best amateur detectives the old North State ever saw. Laugh and cry along with the citizens of Beryl's Cove, and of course, Elvis and that donut munching bulldog, Dawg are here to add their own special touch to the story.